This past Christmas Eve, my husband and I hosted a dinner for some wonderful friends who had never before been to Utah. 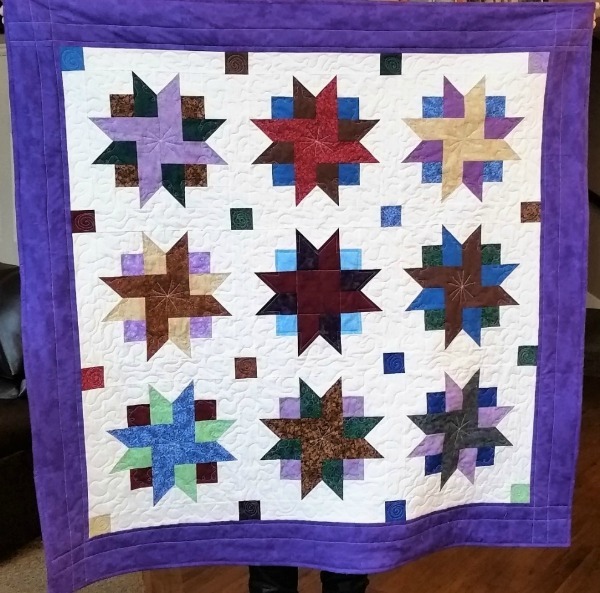 I wanted to give the mother and grandmother something special, and to me, “special” is always a hand-made quilt. 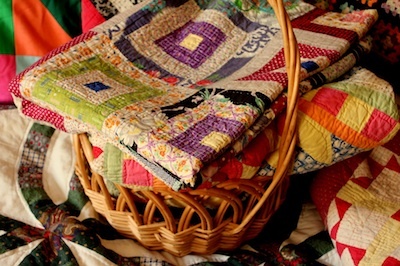 The quilts in the photos below are Ribbon Star Quilts. 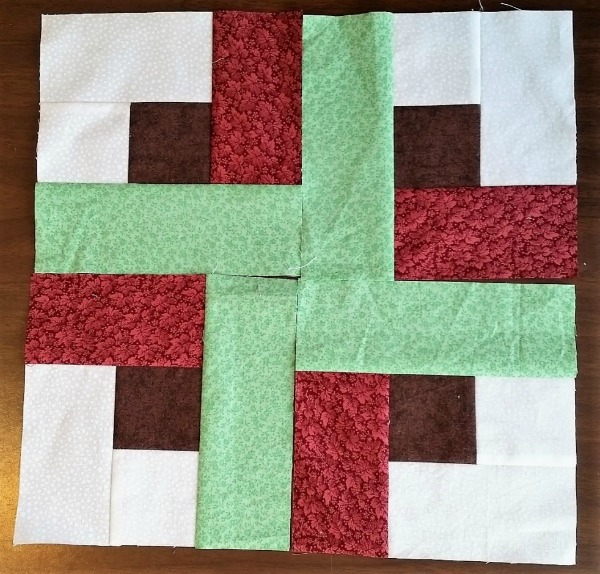 The pattern is fairly simple, and I used fabrics from my stash. 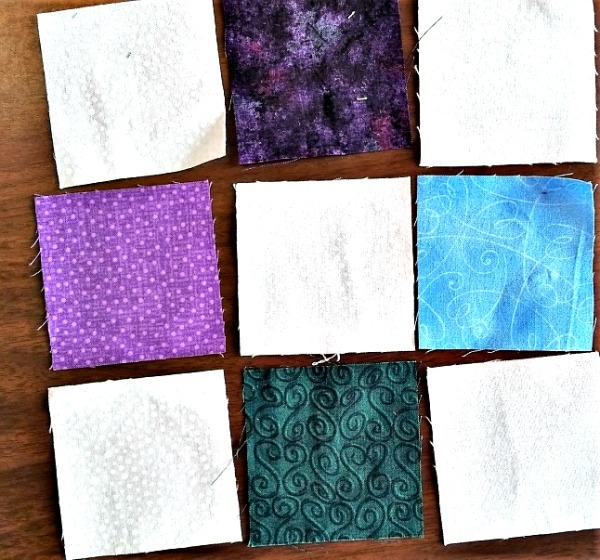 (Yes, quilters call an extensive fabric collection a “stash.”) The only fabric I purchased specifically for these quilts was the border and backing fabric. The resulting quilts are stunning! 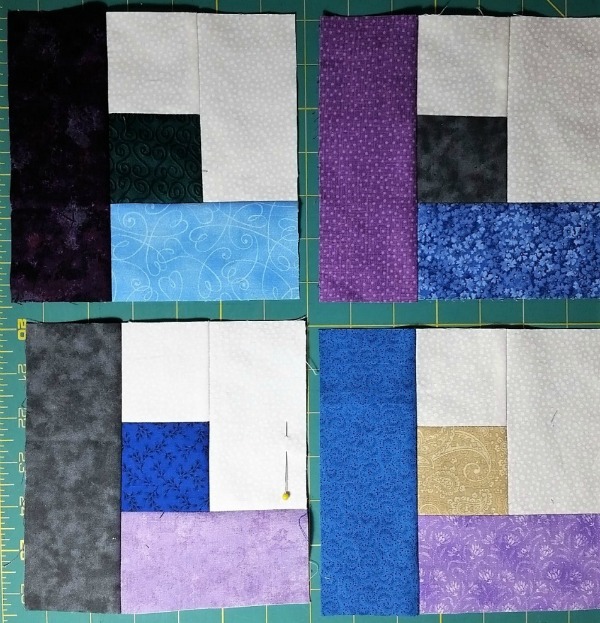 I didn’t make one quilt and then the other, but worked on both quilts at the same time. 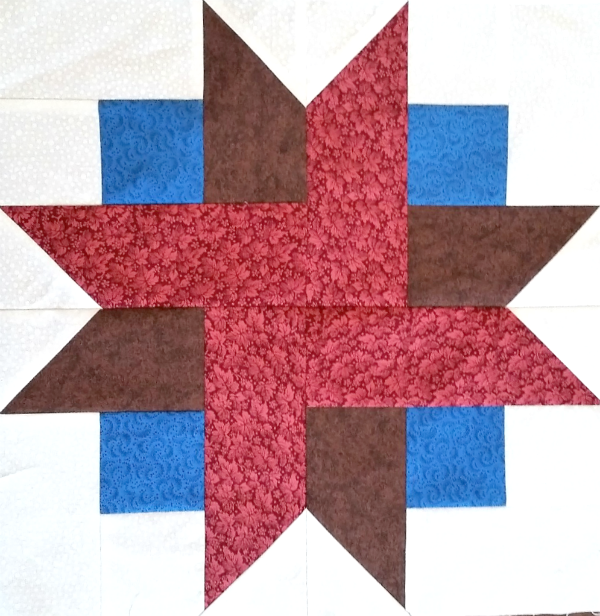 Each quilt had 9 stars, so I needed a total of 18. 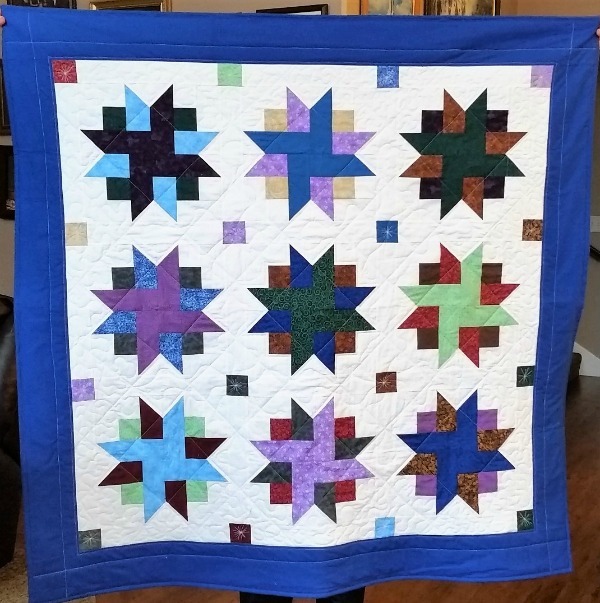 I chose 18 different fabrics that looked good together, but contrasted with each other, so that the individual pieces of each star would stand out. 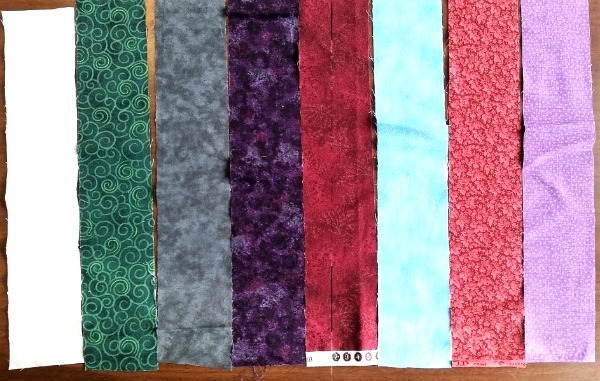 I used a variety of colors, but I used more of the colors I like the best: purple, blue, maroon, green. 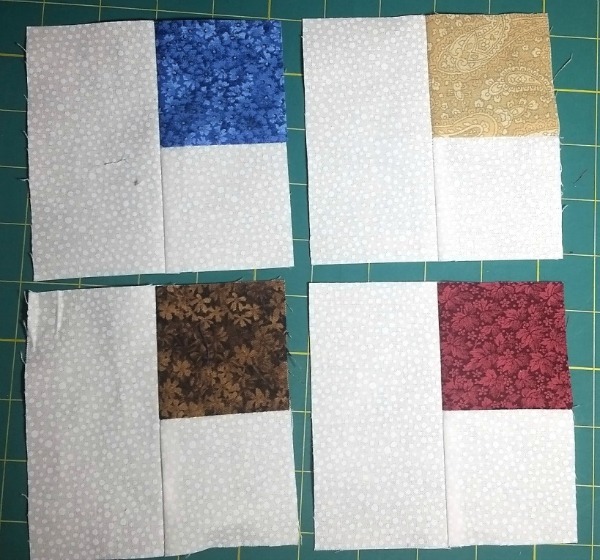 I cut 2 ½ inch strips from each piece of fabric, and then cut 4 squares of 2 ½ inches from each strip. Then I started sewing. I made 72 corner units, 4 for each star. 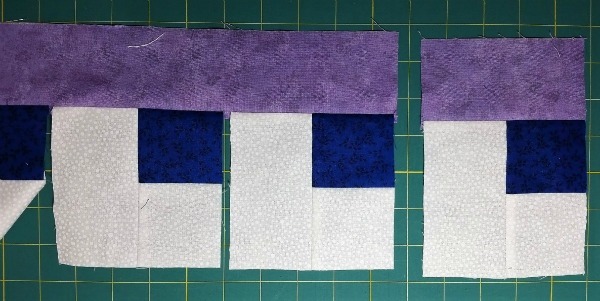 I sewed 4 corner units onto a fabric strip in a contrasting color. Then I pressed and cut the strip. These units look very random and not very interesting, but put 4 identical units together, and you can see the beginnings of your star. Now add the points, and it’s almost as if magic happens! You have beautiful stars. If you look at the pointed and non-pointed stars side-by-side, you will see what a huge difference the points make in how the stars look. 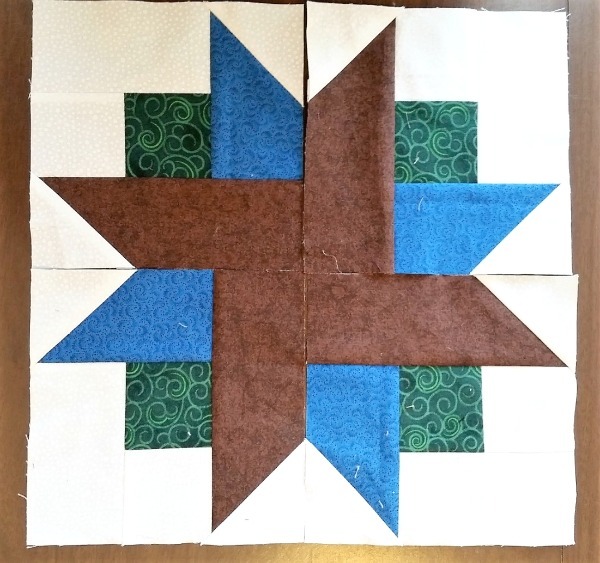 After each star piece had points, I sewed the pieces together, 4 units for each star. 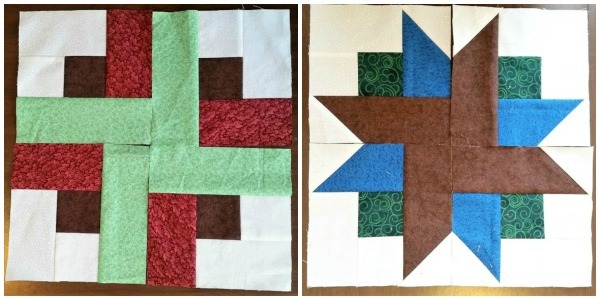 Next month, I’ll show you how I sewed the stars together, added the borders, and machine quilted everything. 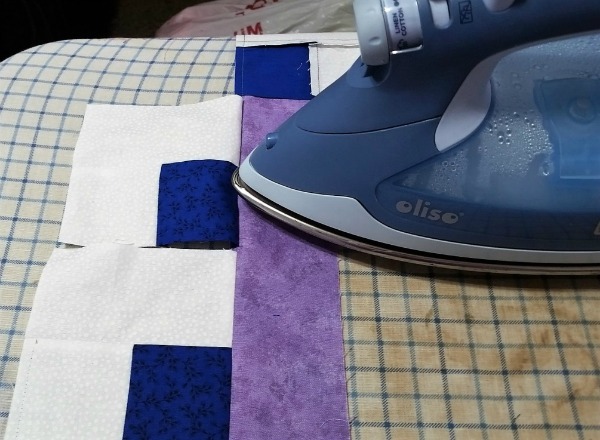 Be sure to join me for more beautiful quilt photos! Thanks, Juanita. They turned out so cute. My sister is amazing. 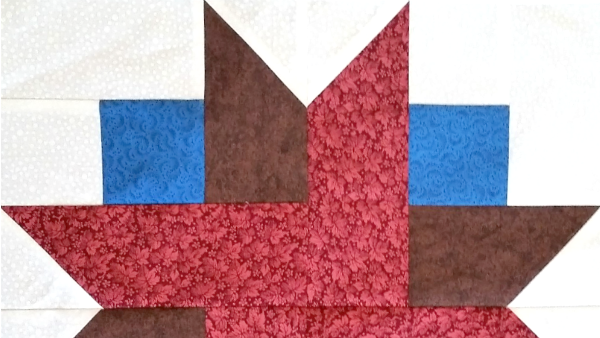 This blog doesn’t explain how to add points to the pieced squares. I have posted those instructions on Jennifer’s facebook page: Jennifer Beckstrand Author. Let me know if you have questions.